This park was burnt over by the 2017 wildfires. The park has now been reopened. Becher’s Prairie Provincial Park was established as a result of the Cariboo-Chilcotin Land-Use Plan Goal 2 (Special Feature) process. It contains grasslands of the porcupine grass ecosystem. This ecosystem is not known to occur in British Columbia outside of the Cariboo Region and no other protected area in the Cariboo Region includes representation of this upland porcupine grass ecosystem. In the immediate vicinity of Rock Lake there is an area with associated waterfowl species and nesting habitat and a winter hibernation area for the Western terrestrial garter snake and common garter snake that will be protected. 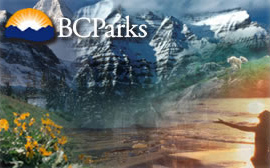 The park is located approximately 24 kilometres southwest of Williams Lake.